Juniper Systems will be attending CONEXPO-CON/AGG 2017 from March 7-11 in Las Vegas, NV. This is a major trade show featuring new products and technologies from over 2,500 exhibitors representing every major construction industry. A number of exhibitors are Juniper Systems partners with a variety of solutions to offer. Curious about who will be attending and how they implement our products into their solutions? I thought you’d never ask. GeoMax providesa comprehensive portfolio of integrated solutions by developing, manufacturing, and distributing quality construction and surveying instruments and software. They address professional and occasional users with easy-to-use, highly productive total stations, GPS/GNSS instruments, software, lasers, optical and digital levels, and accessories. From accurate GPS/GNSS RTK receivers to high-precision robotic total stations, Geomax/AGL products interface with Juniper Systems’ field computing solutions, including the Mesa 2 Rugged Tablet and Archer 2 field controller, to create the perfect combination of ruggedness and performance. Hemisphere GNSS is a leader in high-performance satellite positioning, striving to develop and deliver flexible, high-accuracy commercial satellite positioning products and services that enable customers to easily get the positioning solution required. Working with each customer to find the model that best suits their business needs, they deliver a tailored experience from inception to completion. We work in partnership with Hemisphere GNSS to provide high accuracy real-time sub-meter GNSS data through the Juniper Systems Geode GNSS receiver, using Hemisphere GNSS receiver technology. Hemisphere and Juniper Systems have a long history of working together to bring quality GS/GNSS positioning to the GIS/Mapping profession. By integrating past solutions such as the Archer with XF101 Receiver to today’s all-in-one Geode GPS/GNSS Real-time Sub-meter Receiver, we partner to provide solutions to best fit customer needs. Laser Technology’s core products are engineered with pulse-laser technology, also known as reflectorless measurement technology, resulting in the ability to measure distance and speed. Also specializing in tilt and compass sensors, they allow the measuring of heights and azimuth bearings. The mission of Laser Technology has always been to provide quality products through innovation and dedication. Laser Technology uses a variety of our products as the preferred data collectors for laser instrumentation. With Laser Technology custom measurement software compatibility, our handheld and tablet hardware is the perfect product for this solution. You can also add Juniper Systems’ Geode Real-Time, Sub-meter GNSS Receiver to Laser Technology’s MapSmart software for a complete field mapping solution. Pro-Dig™ is a NIST-Certified (National Institute of Standards and Technology) company that manufactures hydraulic drive heads, augers, foundation tooling, and torque monitoring systems for use in the drilling and construction markets. Providing attachments to mount drive heads on all types of construction equipment, including excavators, skidsteers, backhoes, and digger derricks, Pro-Dig works to provide solutions that fit specific equipment needs. If an attachment or auger is not compatible with a customer’s machine, Pro-Dig will custom design the equipment to fit. Pro-Dig’s products measure actual torque loads, angle of installation, depth, and drive head shaft speed. This data is then quickly recorded using the Juniper Systems Archer 2. The torque is recorded to a high degree of accuracy. Without the Archer 2, machine operators are forced to stop the machinery and record manual readings, or approach moving machinery. The Archer 2 not only makes these processes significantly faster, but safer as well. Juniper Systems rugged computing solutions provide the perfect complement to Septentrio’s Altus brand of high accuracy GNSS receiver systems. With a direct web-based interface, the Septentrio Altus NR2 Smart Antenna and Juniper Systems Mesa 2 Rugged Tablet provide the perfect field solution for GIS data collection, insuring ultimate accuracy. Topcon provides innovative positioning technology for use in construction, mapping, GIS, reference networks, scanning and imaging, surveying, and agriculture. Their products include the hardware for the job and a variety of mobile and office software. Topcon continues to be a long-time partner with Juniper Systems, providing data collection solutions to the AEC market. Juniper Systems manufactures a custom version of the Mesa 2 Rugged Tablet for Topcon, called the FC-5000. Topcon selected the FC-5000 for its extra-large 7” display and ultra-rugged, waterproof design, providing superior data protection in even the most extreme environments. Topcon customers run their mobile software on the FC-5000, utilizing real-time data to boost productivity and improve planning and decision-making. The data collected on the FC-5000 results in more precision, efficiency, and control. 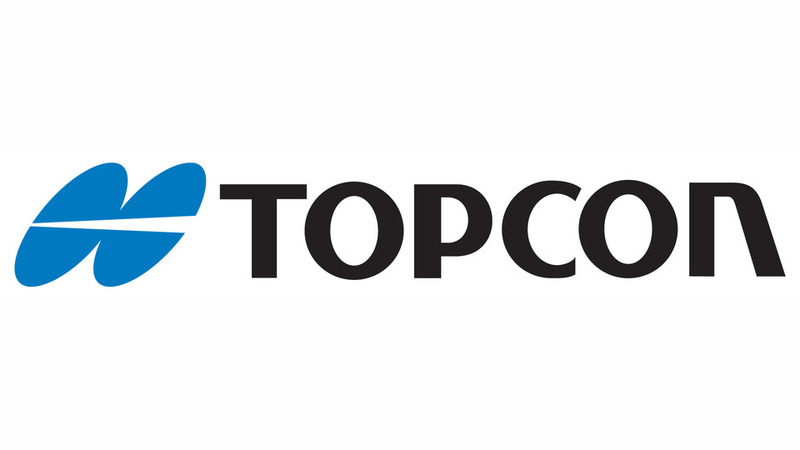 Topcon also offers the FC-500 Field Controller and Telsa Rugged Notepad, both developed by Juniper Systems to fit Topcon’s exact quality standards. So, if you’re headed to CONEXPO-CON/AGG 2017, stop by and give us and our partners a visit. Or, as always, you can contact us at www.junipersys.com or 435-753-1881. John Florio is the Geode Sub-meter GPS Receiver product manager and geospatial account manager at Juniper Systems. He has worked in the geospatial industry since 1993.